CajunGrocer is Louisiana's premier online store and national distributor of gourmet authentic Cajun & Creole food products, original Louisiana cookbooks and the best Cajun, Swamp Pop and Zydeco music Louisiana has to offer. CajunGrocer offers specialty perishable food items including: seafood, stuffed chickens and Turduckens, tasso and andouille sausage and many other semi-prepared entrees for wholesale to specialty retailers and food service operators. 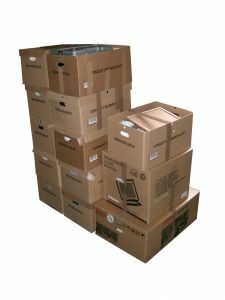 To take advantage of our wholesale prices, you must purchase a minimum of $500 (excluding freight). Please contact us for details on how to order. If you wish to speak with a customer service representative, contact us via email at support@cajungrocer.com . A CSR will contact you within 24 hours. Our shipping rates are the lowest when it comes to shipping perishable foods. If you're not in a hurry, select GROUND shipping and reap the benefits of low shipping cost. All GROUND orders ship on Monday, Tuesday, Wednesday and arrive on Friday or Saturday of the same week depending on where you live (no perishable orders ship over the weekend). We avoid shipping through the weekend and reserve the right to defer to the following Monday. This ensures maximum freshness. For delivery to Hawaii and Alaska, you must select NEXT DAY AIR as your shipping method. A $12.50 surcharge for shipments to Hawaii and Alaska will be added to your total purchase. We do ship FRESH FOODS (perishables) via Ground. We use plenty of dry ice and a reusable, custom branded insulated cooler, a packaging combination that will insure your products arrive frozen and in excellent condition whether you choose Ground or Overnight delivery.